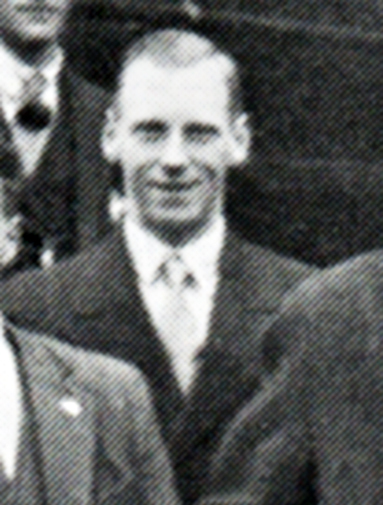 Walter J Gunn, who was to win gold, silver and bronze medals in road and cross-country championships and win no fewer than six international vests at a time when the standard was very high turned out in his first Scottish National Championships in March 1926 when he finished 22nd to lead his club, Plebeian Harriers to fifth place. The club had also performed creditably in November, 1925, when they were second in the first ever West District Relays for the Struthers Shield, held at Paisley, behind Shettleston with a team of Clark, Gunn, Allan and Tombe. Allan was fastest club runner on the day with sixth fastest time overall. The team was fourth in the District Relays in November 1926 with W Allan fastest Plebeian and equal third fastest on the day. In the national in March 1927 two of the Plebeians best men – Allan and Gunn – were absent and this maybe accounted for the team, led home by Sammy Tombe in eleventh place, finishing sixth. In the District Relays in November 1927, Plebeian had their first championship victory when they won over a course that was either very fast or a bit short! The team consisted of SK Tombe (14:18), E James 15:28, M Rayne (14:47) and WJ Gunn (14:39). In the National at Hamilton in March, Gunn finished fifth (behind team mate Sam Tombe in fourth for the team that finished second) and was selected for the international where he finished 29th and a counting runner for the Scottish team. November 1928 and the District Relay was won by Plebeian Harriers. Sammy Tombe, their fastest man on the day with a time of 12:35 was third at the changeover but “by half distance Plebeian Harriers were in the lead thanks to a good effort by E James (12:49). Monkland were now second and Shettleston third. Garscube had moved up from seventh to fourth while the University had lost one place. On coming round the third time, Plebeian (M Rayne) had doubled their lead while Shettleston were now lying second and Monkland third. Maryhill (WH Calderwood) were now fourth, 45 seconds behind the leaders with Garscube fifth. Chief interest now centred on the running of Maryhill’s final string, D McLean, the SAAA Mile champion. but the task was beyond him. In the District relays in November 1929, the Districts had been rearranged and was now the Midland District. However it was, Plebeian won for the third successive year despite the absence of their fastest man in the two preceding events, Sammy Tombe was absent. In his absence, Walter Gunn ran the opening stage. Let the ‘Record’ tell the tale. “Plebeian Harriers A Team ran in brilliant style throughout to win a race which by no means provided the classic contest generally expected. Right from the start Plebeian showed that they were not going to give any quarter and, despite the opposition from Frankie Stevenson, Monkland, and Donald McLean, Maryhill, WJ Gunn gave them a lead of thirty yards over the first circuit. Over the next lap sped E James for Plebeian and he extended his club’s lead to a margin of 160 yards. Monkland were still second but Motherwell YMCA made excellent progress by moving up from fifth to third place due to the fine effort of WH Gardiner. Shettleston remained in fourth place. During the third lap, Plebeian continued to open up the gap; Maxwell Rayne having no mercy on his rivals finished strongly to give A Ingram a long lead over Garscube who came into the picture for the first time through RM Roxburgh. The contest was now all over bar the shouting and Ingram got home to win a brilliant race by 53 seconds from Garscube.” Gunn had the fastest time of the day (14:19), Frank Stevenson was second quickest (14:24) and Maxie Rayne was third with 14:24. The question of where SK Tombe had got to was answered when we looked at the West of Scotland team where SK Tombe ran the last leg in 15:08 for the team which finished 14th. The 1930 National was held on 1st March at Hamilton and after a hard race. Gunn was fourth behind Suttie Smith, RR Sutherland and F Stevenson. The Plebeian team was third. In the international, held that year in Royal Leamington S[a in England and he finished 20th. The Edinburgh to Glasgow Road Relay had started in April that year and Gunn too his club from third to first on the fifth stage with the fastest time of the day and a course record. The team won of course. In the District Relay at Hamilton, Plebeian “had to relinquish their title to Motherwell YMCA” but the news was that Sammy Tombe was back in the ranks. Staying with Gunn for the first stage which he had won the previous year, Plebeian were in the lead at the end of the first stage, Tombe dropped one place to Motherwell on the second, R Clark was the slowest man in the side and dropped a bit further behind and Ingram kept the position to the finish. Gunn had the fastest time of the afternoon and Tombe was eleventh overall. The National for season 1930/31 was also at Hamilton and after a hard race, Gunn was third behind Suttie Smith and RR Sutherland. That earned him his third international vest, this time in Ireland at Baldoyle Racecourse. Gunn was 21 and a counting runner in the team which finished second, so taking a silver medal to go with his two bronzes from the Scottish Championships. He then completed the set with gold in the Edinburgh to Glasgow in April when Plebeian won the race and he had fastest time on the 6th stage. The national in 1932 was held on 5 March at Hamilton and Maxie Rayne led the team home when he finished fifth. Sammy tombe was outside the first ten and Alex Armstrong was their third counter. Where was their star man? The Daily Record tells us that “Plebeian felt the loss of WJ Gunn who who was compelled to retire fairly early owing to the aftermath of ‘flu” He was nevertheless selected on form and ran in the International in Brussels where he was 24th and a member of the team that finished third. Rayne was 33rd and the Scots last scoring runner. Although the race was run again in November that year they had to win it without Gunn who did not run. In the Midland Relay, he won his gold medal as part of the Plebeian team which won at Hamilton Park. He ran on the last stage where he just sat on the leader, Littlejohn of Shettleston, and sprinted clear in the finishing straight. The National in 1934 was held on 3rd March and the unusual result was a dead heat for first between Plebeian and Dundee Thistle. Tombe was the first club runner home in fourth, McGregor was eighth and Gunn finished twelfth. The Edinburgh to Glasgow that year was held at the start of November and Plebeian was fourth. Walter Gunn ran on the fourth stage and pulled the club from fifth to fourth when he ran the second fastest time of the afternoon, only Adams of Dundee Thistle being faster. In the District relay, the team was third and Gunn was third quickest individual. Came the National in March 1935, and Gunn finished thirteenth to be first Plebeian home with the team third. In the 1935 Edinburgh to Glasgow in November, Gunn did not run in the third placed team. He did run in the District Relay, though, on the first stage where he was third on the first stage for the winning team. In the National at the end of the cross-country season, he finished seventh and booked his trip to the international for the sixth time at Squires Gate in Birmingham where he was 48th. In the Edinburgh to Glasgow, 1936, Gunn ran on the sixth stage where he took over in third, handed over in third for the team which finished third . He missed the Midlands relay where the ‘new man’ in the team, running last, faded badly for the club to finish seventhe – their lowest ever in the race. In the National at Redford Barracks in March 1937, he was back in fifty fourth position for the team which finished fourth. He did not run in the National ever again. Or in any other country or road relay either. Of course, Walter Gunn ran on the track as well as over the country. If we look at some of the high spots of his career from mid-1928 it will illustrate that his talent here was as great as over the less predictable surfaces of grass and mud. The first time his name appeared in the SAAA Championships was in June 1927 when he was noted as an ‘also ran’ in the Mile where team mate SK Tombe was thgird. At the beginning of June, 1928, Walter Gunn finished third behind club mate D McLean and his Plebeian clubmate H Combe in the Three Miles Team Race. And then on 16th June, at the Glasgow Police Sports at Shawfield, Gunn won the One Mile (First Class) race from club mate SK Tombe in 4 min 27 3-th sec. Running off 65 yards with Tombe off 70 yards, he only won by two yards. On 1st June 1929, he won a race that he was maybe not expected to win. The report on the Two Miles handicap race at the Queen’s Park Sports, read, “Chief interest in the meeting arranged by Queen’s Park FC lay in the attempt made by J Suttie Smith upon the existing Scottish record for the two miles. A special handicap had been framed for the occasion and had the champion been able to head WJ Gunn, who ran off 85 yards, he might have accomplished it, the Plebeian runner’s winning time being 9 min 32 1-5th sec. As it was, Smith failed to do this, his time for the distance being 2 3-5th sec worse than McLean’s existing figures 9 min 31 sec. The winning margin was noted as only 3 yards. On 8th June, Gunn, referred to as ‘that improving runner WJ Gunn’, was first across the finishing line in the Invitation Two Miles Team race at the GUAC and Maryhill Inter-Club meeting in 15:31.8. In the Glasgow Police Sports at Ibrox on 15th June, he was second finisher in the three miles: “In the Mile, WJ Gunn of Plebeian Harriers, was the most prominent back-marker. He ran into second place and may give just give some of the more fancied candidates something to think about when it comes to the championships.” He was only five yards behind the winner, TJ Goldie of Shettleston Harriers, who was timed at 4 min 25 2-5th sec. Unfortunately when it came to the SAAA Championships a week later, he may have chosen the wrong event since he was unplaced in the Four Miles. At the Queen’s Park FC Sports the following week, he was second to D McLean in the Two Miles Team race, one place in front of Calderwood. “The keen rivalry which exists at the moment between the evenly matched teams of the Maryhill and Plebeian clubs is tending to elevate the two mile scratch races for Harrier clubs into the chief events of each programme in which they appear. At the Monkland Harriers Sports last Saturday, at Firhill Park on Monday and again at Hampden Park on Saturday, the racing in this event transcended everything else on the programme. This was due as much to the personal duel between WJ Gunn of Plebeian Harriers on the one hand, and WH Calderwood and D McLean on the other, as to the struggle for supremacy between the two club sides. In all three races run during the past ten days, Gunn has had the measure of the ex-champions and as each of the three has been run through in different fashion, the Plebeian Harrier can claim that both in the matter of tactics and of pace he is the best man in the district at the moment over the distance. His victories at Coatbridge and Firhill were of the narrowest, but on Saturday he defeated Calderwood by a good five yards and at the finish was travelling as fast as at the beginning, a tribute to his stamina as his opponent carries as powerful a finish as any of our distance runners. Gunn’s time, 9 min 38 4-5th sec is the best he has done in public so far.Under something of a cloud last season because of a physical handicap he is improving with each appearance. The result of the team race was Maryhill winning by 11 pts to 13 and they now two victories to one over their rivals.” For Plebeians, Tombe was fourth and Rayne eighth. Although this report was at the start of June, there was no mention of Gunn in either of the two big meetings to follow, ie the SAAA Championships at the end of the month, and the Rangers Sports at the start of August. In 1932, Gunn did not run at Monkland and both Gunn and Rayne were absent from the team to contest the two miles event which ‘reduced the team race to a struggle between Shettleston and Maryhill in which Maryhill won by 21 points to 23. Gunn was also absent from the SAAA Championships. It may be that the reference above to his missing a season ‘because of a physical handicap’ was a reference to a chronic injury or a recurring illness: whether it did or not, he certainly missed several championship races on the country as well as on the track. 1934 was a much better year for him. At the Atalanta v SAAA match at the end of May he was second in the Mile behind GA Smith of Atalanta and ahead of old rival WH Calderwood. On 26th May at Hampden he was second to Tom Riddell in an estimated 4:25, on the heels of Riddell until the final straight and finished 25 yards down. Then at Celtic Park on 16th June, he won the one mile team race in 4:33. How would he do in the SAAA? Would he go for the Mile again? In fact he won the first ever SAAA Steeplechase championship in June 1934. The ‘Glasgow Herald’ report read: “In the other new event, the steeplechase, WJ Gunn (Plebeian) won comfortably.” His winning time was 11 min 0 sec. In 1937 he again contested the event and finished second to RR Sutherland. Given that the first Scottish 2 miles steeplechase championship was held in 1934 and won by Gunn, it`s interesting to note a handicap 2 miles steeplechase run in conjunction with the Queens Park FC Sports at Hampden on 26 May. Backmarker John Suttie-Smith of Edinburgh H. (20 yards) won by 50 yards in 11:15.4 from C.T. Thompson of Garscube (180 yards). The Scotsman wrote “he was the only real fencer on view”. The handicap eight lap steeplechase (about 3000 metres) had been a feature of the Rangers Sports since its introduction in 1926. Suttie won it in 1933 in 9:23.6 off 130 yards, his third win after 1929 and in 1931. I have no idea why it took so long to introduce the steeplechase, not to mention the marathon, as after all it had been Olympic event since 1900 and was certainly one of the most spectator-friendly events. The powers-that-be within the SAAA were evidently administrators, not visionaries. On the back of this victory he was chosen to run in the 1934 Empire Games in London where he finished sixth of six competitors. Gunn’s absence in 1935 was noted in reports (reigning champion did not run, etc) and he didn’t run in any more SAAA Championships. Walter J Gunn was clearly a very good and talented athlete on the road, over the country and on the track where he performed well at the Mile, Two Miles and his victory in the first ever steeplechase championship has earned him his place in history. Copyright © 2019 Anent Scottish Running All Rights Reserved.